Definition at line 413 of file audioengine.h. Definition at line 416 of file audioengine.h. Definition at line 421 of file audioengine.h. Definition at line 422 of file audioengine.h. Definition at line 420 of file audioengine.h. Definition at line 425 of file audioengine.h. 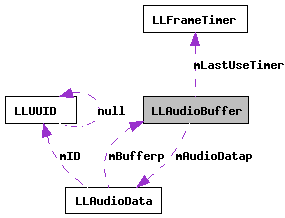 Referenced by LLAudioEngine::getFreeBuffer(), and LLAudioData::load(). Definition at line 424 of file audioengine.h. Definition at line 426 of file audioengine.h.